The seven-seat NIO ES8 is billed by the automaker as a high-performance electric SUV. Magna International continues to expand its presence in China, taking advantage of that country’s environmental plan which has led to start-up companies launching more electric and lighter vehicles. Magna, with its electric powertrain experience and lightweight parts, says it’s “uniquely qualified” to support start-ups attempting to meet environmental regulations. 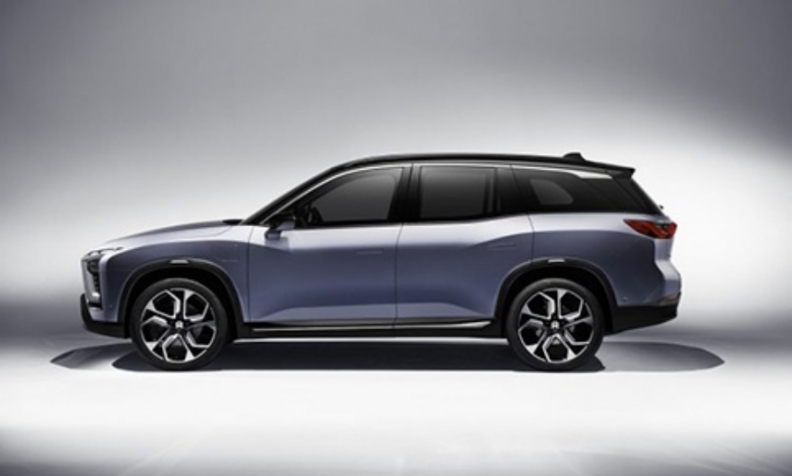 The Canadian parts giant has a deal to supply aluminum front sub-frames and rear cradles, gearboxes and door- and hood-latching systems for the ES8 utility vehicle by Chinese start-up NIO. The deal was announced in mid-December right around the vehicle launch in China. Financial terms were not released. NIO is a Chinese start-up founded in 2014. It designs and develops electric vehicles under the NIO brand. The seven-seat NIO ES8 is billed by the automaker as a high-performance electric SUV. With both front and rear motors, the vehicle delivers 480 kilowatts of power. The electric powertrain enables the ES8 to accelerate from 0-100 km/h in just 4.4 seconds. “The support of strong and capable suppliers will be essential” as Chinese automakers develop and launch greener and cleaner vehicles, Magna said in a statement. Magna said in July 2017 that it projects its annual sales in China will nearly double by 2019 due to growth at its seat and transmission divisions. At that time, the company said it hoped for sales of $7.76 billion by 2019. In 2016, sales at the Canadian supplier’s wholly owned subsidiaries and joint ventures in China totalled $4 billion, up 39 per cent from a year earlier. The supplier hasn’t reported 2017 numbers, yet. After entering the market in 1996, Magna now has about 40 plants in China. Magna International Inc., based in Aurora, Ont., ranked third on the Automotive News Top 100 Global Suppliers List, released in June, for the second consecutive year and is the only Canadian company in the top five. It did $48.33 billion in total global OEM automotive parts sales in 2016.